Is My Piano Out Of Tune? Where Have All the Pianos Gone? 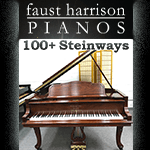 Looking for a piano store in the North Carolina area? Check here for piano dealers in your area. Keep in mind piano stores usually offer both new and used pianos. Speaking of used / pre-owned pianos, be careful when investing in a used piano particularly if it’s from a private sale. In fact we highly recommend having a qualified piano tuner-technician check the piano for you. You will likely have to pay him or her a fee for their time, but it could save you a lot of problems in the end. Whenever possible it is advisable to purchase from a reputable piano store or piano tuner-technician. For additional information and help, please visit our FAQ Page and by all means join our Word Famous Piano Forums! 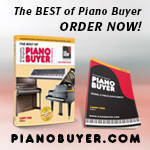 the world’s most popular piano and keyboard oriented site.